A web site dedicated to parents and children where you can find a variety of arts and crafts activities and paper toys to cut out and assemble and play with. 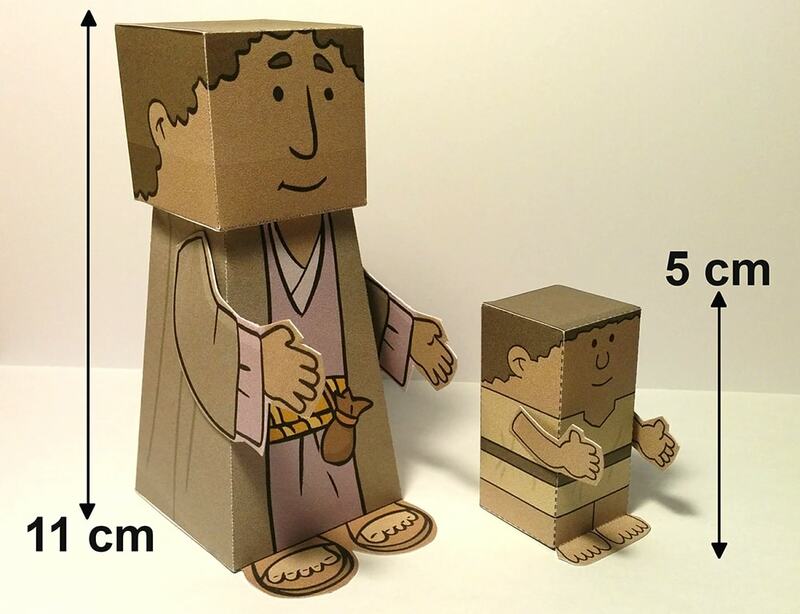 In this site you will find tutorials, tips, photos and articles to help you learn and discover how to assemble and create a wonderful "Mini Paper World". 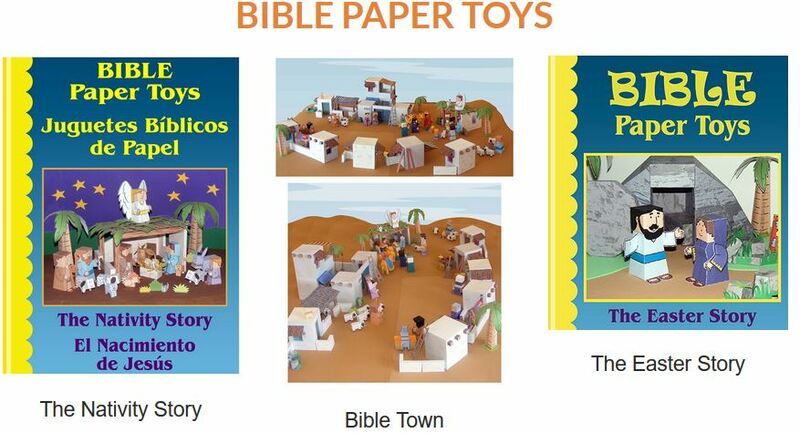 As you can see from the photo to the left, the figures, animals, and scenery pieces from the "Bible Paper Toys" are much bigger than the ones created for the MiniWorld sets. All pieces from the MiniWorld sets are on the same scale, so you can use different parts from different sets to create larger scenes. 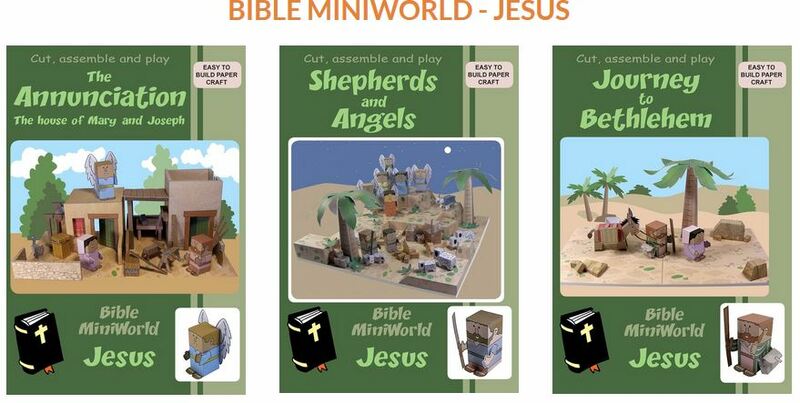 For example, the terrain tiles are all the same size, and the animals can be used interchangeably in any of the sets, Bible, castle, or dinosaur scenes.